BEGINNINGS… IT ALL STARTED WITH A DREAM. Neither I nor Joanna have a background in business or marketing. Joanna studied Geology and I am a PE teacher. However fitness, well-being and sport have always been our greatest passion. Joanna is into dance and fitness, and she was the first instructor to teach Zumba in Edinburgh. My background is in team sports and lately in kettlebells. I have also had a few years of personal training experience. 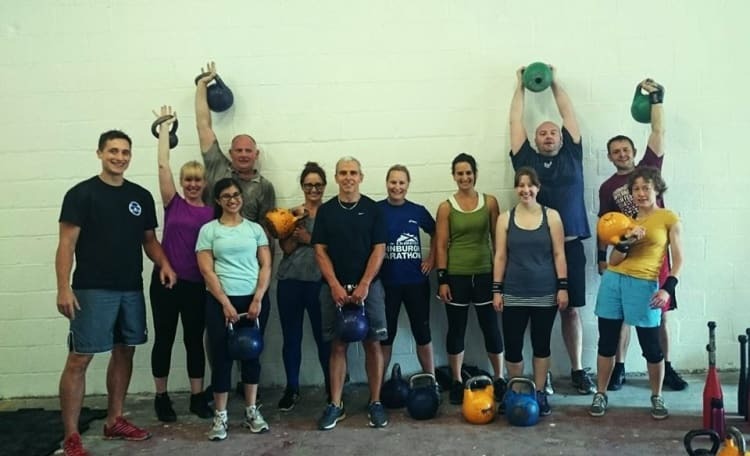 After many years of teaching for various fitness clubs, and then renting out halls and community centres for our own classes, we both decided it was time for our premises. Our classes were very popular, and we had a big pool of very loyal customers, who had been following us for years. Our own Studio was THE only way to go. Not many people know that at the beginning, a few month prior to opening, we hooked up with a very wealthy investor, who was about to inject a substantial amount of money to help us start. It was like a dream come true. Someone was ready to invest in our baby! It all started with a small chat with one of my PT clients. One day, after a personal training session, Peter asked me if I had ever thought about opening my own studio. And at this precise moment I realised how much I wanted it and that there would be no better time! For years, Joanna and I spent many evenings dreaming, planning and talking about our place. We just needed this little extra push to put our plans into action. Peter helped us a lot, especially with the business plan and the first few steps. His vast experience and business expertise were crucial. It was a very hard decision. We wanted to know if we could do it on our own, if we had what it takes to be successful. Also we had a slightly different vision of the final product and we didn’t want to compromise our dream. Finally we decided to go solo, without external investment. This decision has shaped the path for Fitness Soul Studio for years to come. Even though it didn’t work out, I will always be grateful for Peter’s enthusiasm and tremendous help. He believed in us and without him, Fitness Soul Studio would probably still only exist on paper. We estimated we needed about £10k to start. We had some savings but it wasn’t enough, and founds was depleting very quickly. It was at this moment that our customers showed that they were on our side and that they wanted us to succeed. In a bid to raise much needed founds we offered a one-year membership deal. We were delighted to find out that 7 of our close customers had decided to take us up on it. It was a very bold decision, which required a lot of trust and understanding. Mind you they paid almost £1000 each for a product which didn’t yet exist… The only guarantee they had was our word and a promise. Apart from so needed cash it was a fantastic morale boost! Knowing that there were people out there who truly believed in us made us work even harder. We simply didn’t want to disappoint them. We started preparing in March and by the end of May we had found a suitable place and almost finished all the paperwork. It was a very stressful and complicated process; luckily everything went according to plan. After all the hassle of planning permissions, change of use and contracts, we faced another daunting task: to renovate and equip the studio. Fitness Soul Studio is located on an industrial estate. Previously space was used by a lift maintenance company. When a few years ago their business went bust, they left all their debris behind them, leaving the place filthy and untidy. Knowing that our budget was minimal we had to do all the labour by ourselves. Again our friends and customers offered us a helping hand. Together we invested hour upon hour, first clean the place, then painting and decorating it and lastly in putting the floors down. It was far from easy, many times I thought that the task was too big and that we wouldn’t be able to finish. 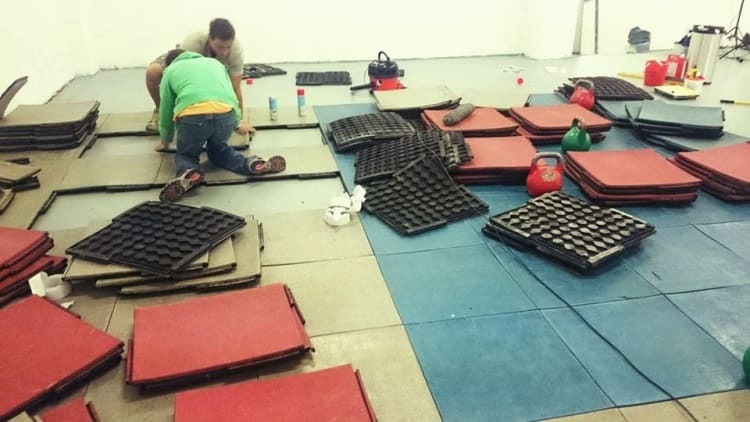 I would like to take this opportunity to thank all those guys who supported and helped us during the renovation. Beata, Chris, Marek, Marcin, Ginie, Tomas, Kasia, Tara, Tom, Connor, Lucy, Lesley, you are real DIY STARS! I also want to thank Neil and his wife Ann, an amazing Glaswegian couple who are behind the production of two of the biggest pieces of studio equipment: the rig and the stage. Thank you guys! Fitness Soul Studio has been open and running for more than 4 years now. We are continuously improving it; changing things, adding and removing classes, adjusting the timetable and working closely with our customers to provide the best service possible. 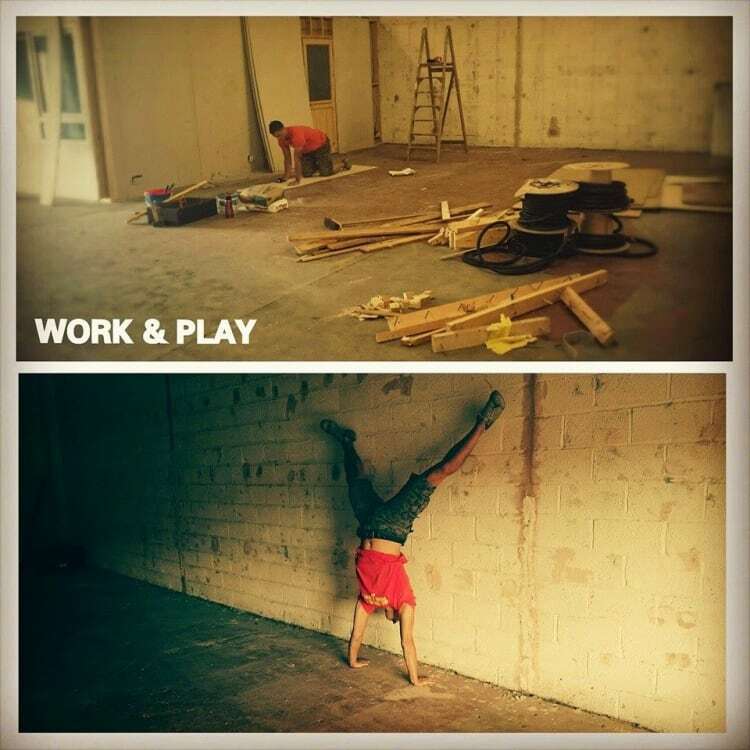 Our goal is to create something more than an ordinary gym or fitness studio. We want a space where extraordinary things happen where you can reach all your fitness and health-related goals but also where you can meet new friends and have a very good time along the way. We not only provide an excellent training facility with top-notch equipment, PA and lighting system but also a platform for ongoing education and socialising. Our waiting area, with cosy sofas, is always buzzing with people chatting before and after classes, having fun or simply chilling out over a cup of tea. What makes Fitness Soul Studio unique is the wide range of customers we cater for; from dance and fitness fanatics who enjoy Zumba and Booiaka, through the strength & conditioning crowd focused on Olympic lifting and kettlebells to performers and circuit people or mums and babies. Everyone is always welcome and treated equally. We are open-minded and we are always looking for new and better ways to get healthy and fit. This is only the beginning of the journey. Something which started as the small dream of two people has become a reality and an everyday destination for many. In a very short time Studio has attracted many great coaches who are now part of its daily operation. With such great people on the board, the future looks very bright!